This Prosciutto, Raspberry and Brie Grilled Cheese is loaded with fresh slices of prosciutto, raspberry jam, brie and mozzarella cheeses. 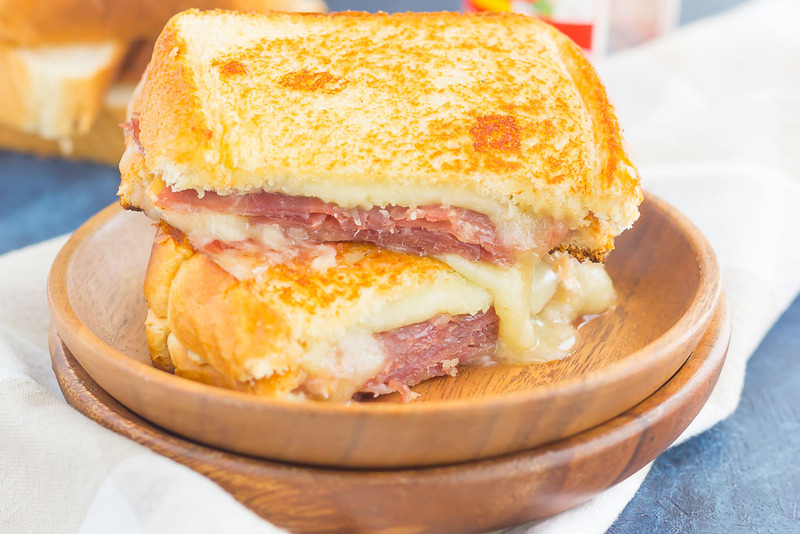 Grilled until golden and melty, this sandwich is the perfect comfort dish! 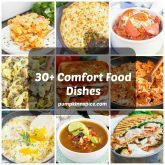 Chicken noodle soup, pot roast, almost any kind of pasta, and grilled cheese round out some of my top dishes. But really, grilled cheese and tomato soup is pretty much the best combo out there, right? Just thinking about that warm, toasty bread, enveloping lots of ooey-gooey cheese, just ready to dunk into some hot tomato soup has my stomach growling. It’s a favorite of mine year round, but especially when the colder weather hits, I step up my grilled cheese game. Which brings me to today’s latest (and greatest) recipe! I love grilled cheese the regular ‘ole way (just cheese, and lots of it! ), but I never pass up the opportunity to get more creative in the kitchen. Take this Caprese Grilled Cheese. It’s wildy popular on Pumpkin ‘N Spice, and for good reason! 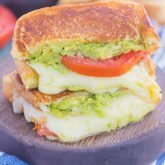 The classic sandwich gets a fun makeover with a caprese twist…mmm mmm good! And now I’m doing the same with this Prosciutto, Raspberry and Brie Grilled Cheese. I could eat prosciutto just about every day, as I love the salty, thin meat. It’s so versatile and works in salads, pastas, and more. And when you combine it with sweet raspberry jam and tangy brie, you have a match made in grilled cheese heaven. 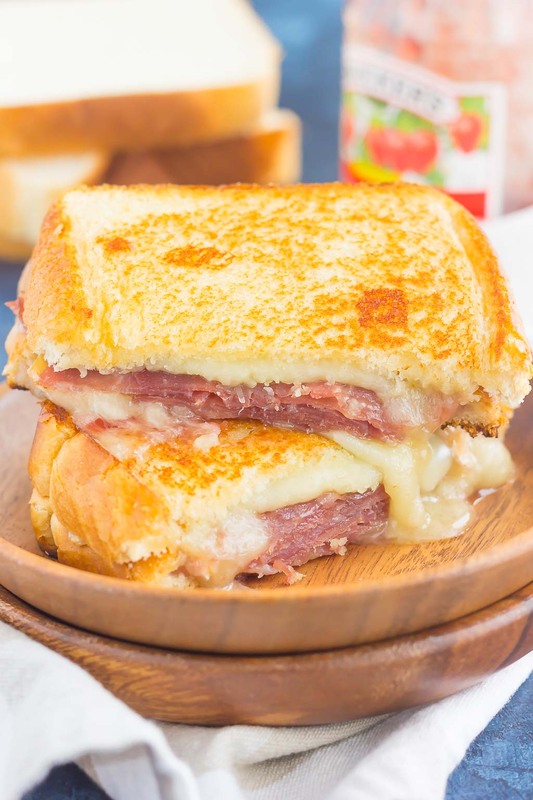 If you’ve never had brie on a grilled cheese sandwich before, then you’re totally missing out! I used the long rind of brie that’s easy for slicing, but just about any type of brie will work for this sandwich. And brie goes perfectly with raspberry jam, as it’s one of my favorite flavor combos (remember this Raspberry Baked Brie?). And let’s not forget about that mozzarella cheese! 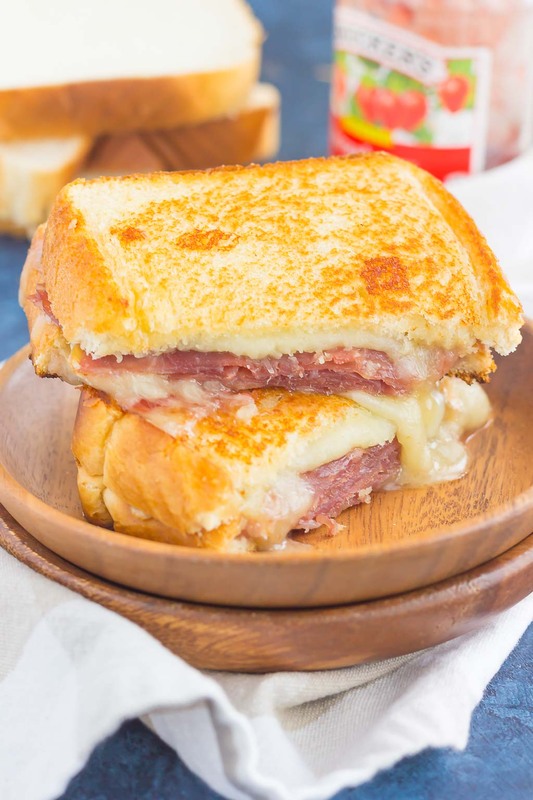 It’s practically a staple in all of my grilled cheese sandwiches, as it adds that ooey-gooey, melty factor. Since it’s fall, I thought this combination of flavor would be perfect for the ultimate, grilled cheese comfort dish! 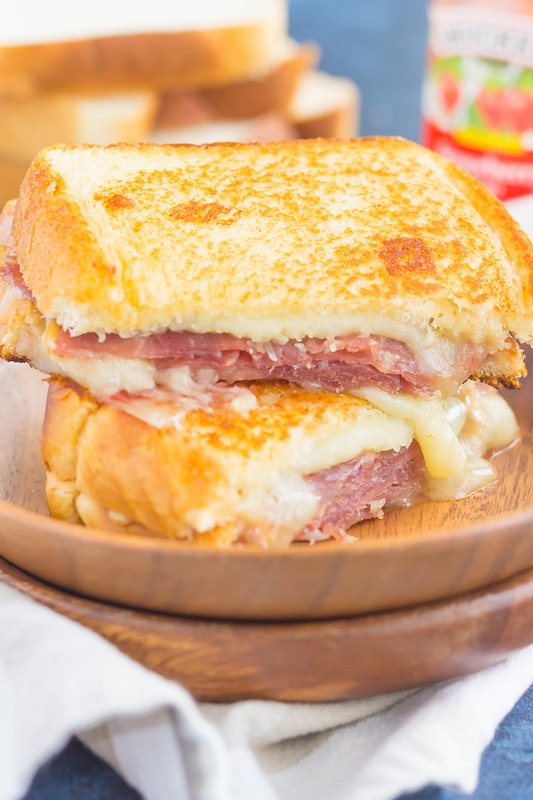 So make that tomato soup, whip up this easy Prosciutto, Raspberry and Brie Grilled Cheese, and warm up with your new favorite meal! 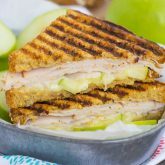 Looking for more sandwich recipes? I’ve got you covered! Place two pieces of bread onto a plate or other flat surface. Spread raspberry jam on one slice of bread, followed by brie and prosciutto. Sprinkle mozzarella cheese on top of prosciutto. Place second slice of bread on top of mozzarella layer. Spread 1 tablespoon of softened butter evenly over the top of bread, coating to the edges. Place the sandwich, buttered side down, on a medium griddle pan or skillet. Butter the slice of bread that is facing up. 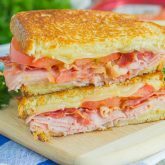 Cook sandwich over medium heat, 3-4 minutes per side, or until crust is golden and cheese starts to melt. Thanks, Blair! I love the sweet and salty combo, too! Yes! Perfect for Monday! Thanks, Sarah! Girl, you are speaking my language here! I could eat prosciutto every day too and cheese? I'm sure you pretty much know how I feel 'bout that! This right here is what I want for lunch (and dinner)..oh and probably breakfast ;) Pinned! Happy Monday! It's the best of both worlds! Thanks, Dawn! Hold it, now....you've added raspberry to this already amazing grilled cheese? It's perfectly appropriate to have it for breakfast, isn't it?! Pinned! It's such a good combo! Thanks, Annie! I love the addition of raspberry, sounds amazing Gayle! Love the combination! Looks amazing! Pinned to try it asap! This is sweet, salty, cheesy heaven! Prosciutto is a favorite of mine, right along with brie. The jam is such a great addition, and I'm in love with this grown-up grilled cheese! I love a great grilled cheese too, Gayle! It's definitely up there with my favorite comfort foods. I'm also a huge fan of brie and prosciutto so this is a winning combo in my book! Thanks, Keri! The brie and prosciutto make this extra special! Sweet and salty is the best! Thanks, Ashley! Its a sweet combo and it can be a good or healthy breakfast. Definitely, Alna! Thanks for stopping by!